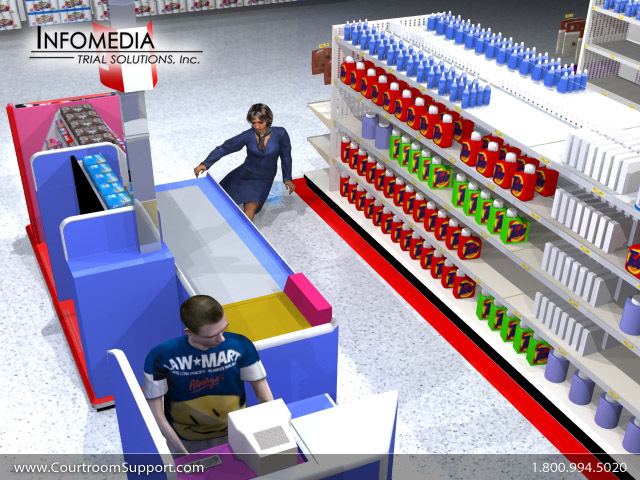 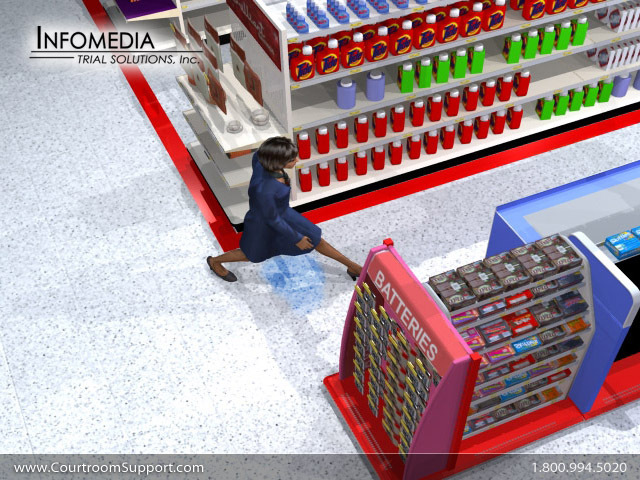 Legal Animations Slip Falls | INFOMEDIA TRIAL SOLUTIONS, INC.
Legal animation reenacting how the plaintiff slipped and what she slipped on while checking out of a department store. 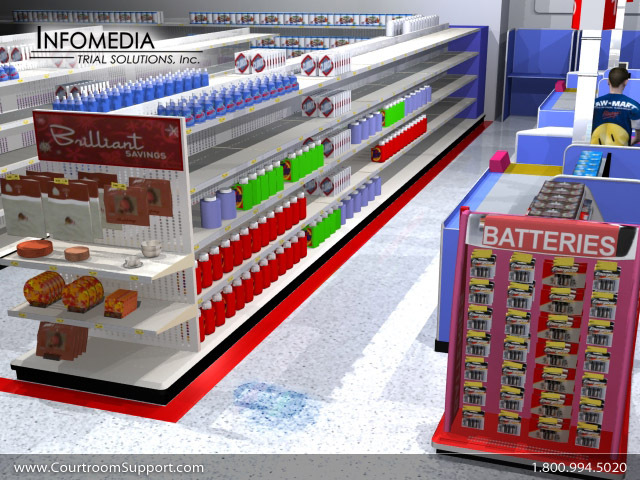 Created for the law firm of Clark & Martino, P.A. 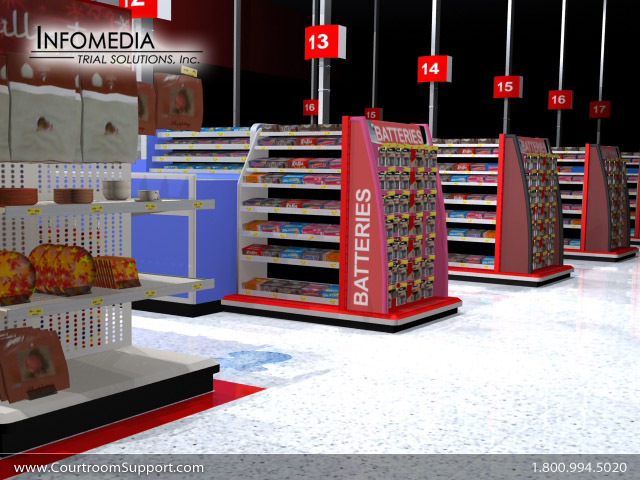 ‘witness’ to the scene of the incident.